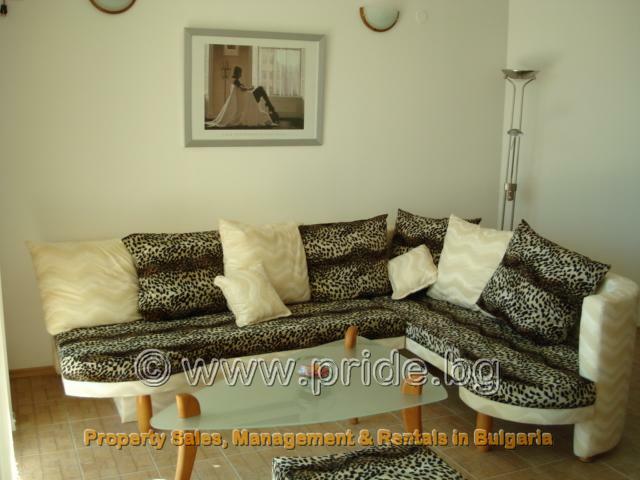 This holiday apartment is located in the quite villa zone of Balchik. The spacious apartment has two large bedrooms, one with a double bed and the other has two single beds, a sofa bed has been added to the living room. 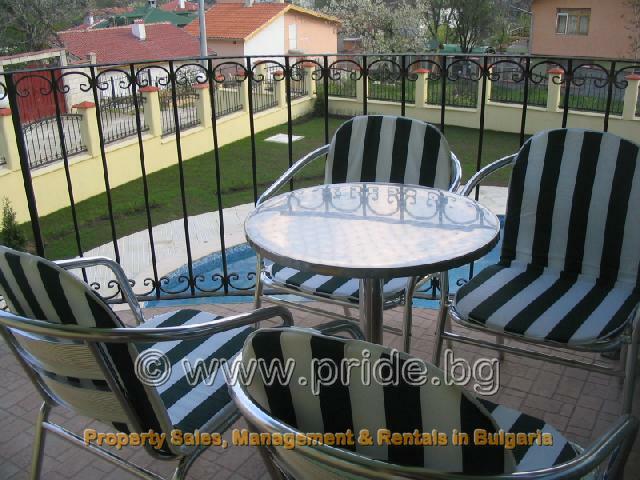 A brand new fitted kitchen area has been equipped with everything you would require during your Bulgarian holiday. This two-bedroom rental apartment also benefits from a washing machine, air-conditioning and an on site swimming pool. Less than 50 meters from this apartment is the Savoy restaurant, the Savoy is famous for it relaxing atmosphere and its English Sunday lunches. A shop is also located within the area and offers everything you might need to help you settle into this stunning apartment. 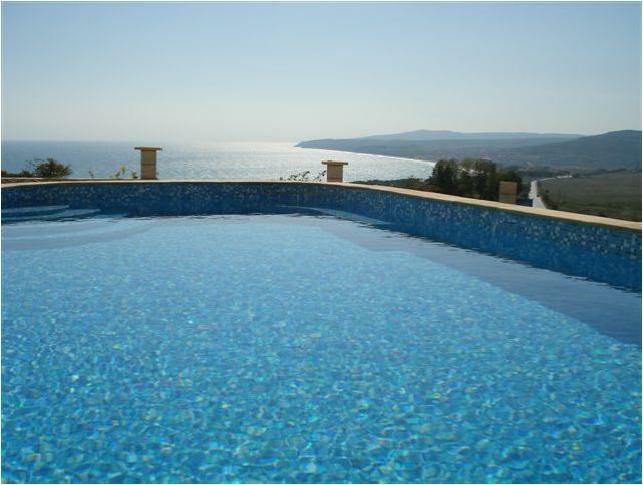 This rental accommodation is ideal for those holidaymakers who prefer the solitude and relaxation, but in contrast has outstanding sea views and yet a short distance from the beautiful beaches of Balchik and exclusive beach resort of Albena. As the property is located between Balchik and Albena you have the best of both worlds - Balchik is rich in culture and offers a great selection of cafes, restaurants and discotheques. There is also a small water park on the esplanade which is great for kids. Sea fishing is also possible in the harbour. The towns top attraction is the Botanical Gardens and Summer Palace of the Romanian Queen Marie. The stone building and gardens are beautifully maintained, and it is quite true to say the Queen left her heart here as it is preserved in the chapel! Albena is considered one of the most exclusive resorts on the coast. Albena is a large and modern holiday centre with an excellent selection of bars, cafes and restaurants, and the large hotels can offer daytime visitors a great range of spa, health and beauty treatments if you are in the mood to pamper yourself. 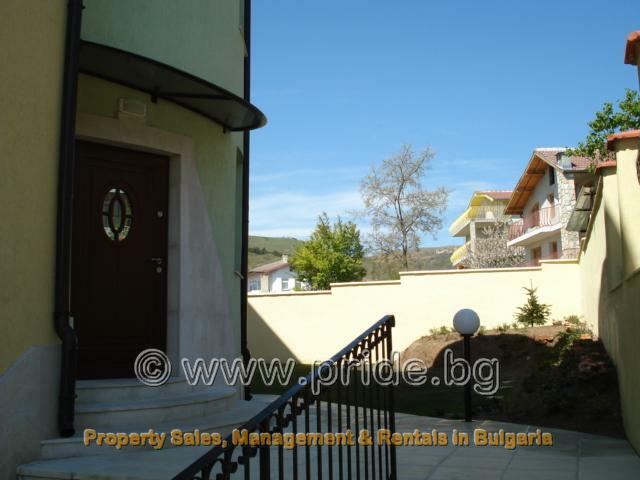 If you rent a car you will be able to access some of the quietest and most unspoilt beaches (that most holiday makers never see) in Bulgaria, you’ll agree there is something for everyone with this beautiful rental property. 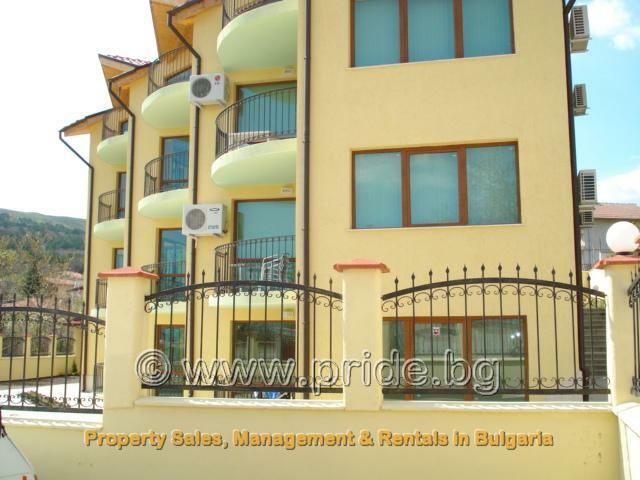 Do Remember with Pride Rentals Bulgaria, we offer all our rental villas and rental apartments, free advance bookings, Airport transfers, Guest registration, local information brochure and 24 hour emergency assistance.